So despite starting the year with a promise of monthly fitness update posts, that literally only happened in January. Oops, my bad. I’m a little bit ashamed to say I’ve yo-yo’d a bit this year. I started the year on a high, but various aspects of life have been challenging my fitness journey and this has led to inconsistencies and going backwards at times, and while I’m a little bit annoyed about this, there’s nothing I can do looking back on it so all I can do is move forward. My gym recently went through a big refurb, and while it never looked back in the first place, it looks so much better now! We have new equipment, new areas and a new pink wall that I’m particularly fond of, and the update has done wonders for my motivation. The most popular new piece of kit in the gym is our new PlyoSoft boxes, and while I’d always considered them to be torture before I’d actually used them, but now I’m obsessed! I start off on a 45cm, the quickly moved up to 60cm and now I’m on 75cm and I’m aiming for 90cm by the end of August. Its a great bodyweight-only workout and I’m already seeing results! Because squatting isn’t tricky enough at the best of times, I’ve now taken to doing them on top of a bosu ball.. While this might not seem too different to squatting on solid ground, you’ll be amazed at how many more muscles you get working while you’re trying to maintain your stability! While it may seem very cliche gym-girl, I love donkey kicks, and all the different variations of them. I have a little donkey kick routine that’s my go-to on days when I’m focusing on lower body, and I will do it over and over until the backs of my legs are screaming just cos for some reason I really seem to enjoy it..
Wall sits are probably the easiest possible exercise for your legs ever, and its amazing how much you feel the burn afterwards. If my legs aren’t already knackered, I’ll try and get in a few minutes of a wall sit at the end of a workout just to push myself right to the end – and then probably fall down the stairs out of the gym. These are killer for both abs and legs! Gripping a Swiss ball between your knees/calves, then raising your legs straight up and down while lying on the floor; I’ll tell you now its a killer! What are your go-to leg moves in the gym? This entry was posted in fitness and tagged exercise, fitness, gym, healthy living, workout. Bookmark the permalink. 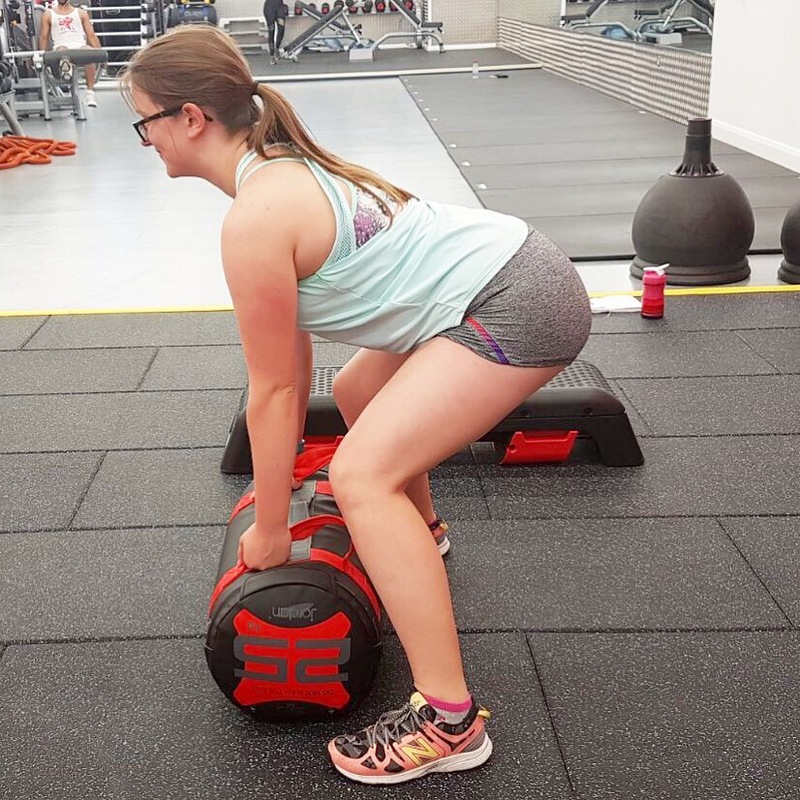 Whenever I do Bosu ball squats, someone always looks at me like they’ve never seen anyone do it before – so good to know someone else is!